Mortgage Program: What Are Your Options for a VA Refinance Mortgage? People in the market for a VA refinance mortgage loan may not realize they have two essential options available to them. One of the traditional VA refinancing streamline mortgage loan that offers them the opportunity to refinance for a lower interest rate. It is the more commonly known of the two. The other is the VA non-streamline refinance loan. There are many reasons to consider VA loans for your refinance needs. Not the least of which is the fact that you don’t have to pay for FHA mortgage insurance with VA loans. FHA borrowers are required to purchase mortgage premium insurance until they have a certain amount of equity in their homes. 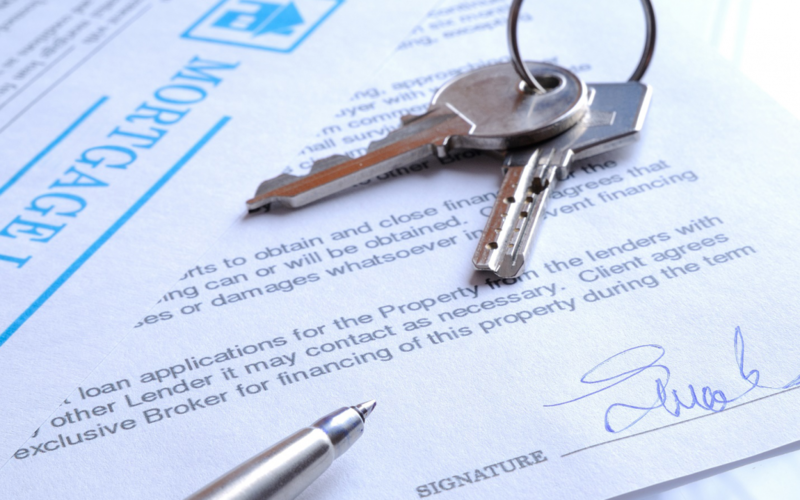 It’s something lenders require to help reduce the risks they’re taking on by lending to borrowers who put less money down on the homes they are purchasing. With that in mind, VA loan recipients may be required to pay a VA funding fee. This fee is designed to help offset the cost to taxpayers if borrowers go into default further ensuring that the program can continue for future borrowers. The fee varies according to the type of refinance loan veterans receive. Veterans do have the option of paying the VA funding fee upfront or may elect to wrap it into their mortgage payments. Bear in mind that while the upfront fee is a one-time payment, wrapping it into the mortgage requires borrowers to pay interest on the amount, which will increase the actual costs. The downside of this type of loan for many borrowers is that it is not permissible to cash out the equity in the home with this particular type of loan. That means that all the money will be rolled into the purchase of the home. However, if reducing interest rates is the goal, that can be instrumental in helping get costs down on the home. In most cases, the monthly notes will drop dramatically based on the amount of equity in the home, reducing the amount they need to borrow, and the reduced interest rates. Now borrowers have the option of paying extra toward the principle of the loan to pay it off sooner or using their savings each month to reduce debts with higher interest rates, such as credit cards or even auto loans. The VA non-streamline refinance program, sometimes referred to as a VA cash-out refinance loan, allows veterans to take out an essentially new mortgage for more than what they currently owe on their home. This allows them to deduct the difference between the home’s current value and the amount they currently owe on their homes and keep the difference in cash. In essence, a VA-non streamline refinance mortgage allows homeowners to cash out the equity in their homes. This may be ideal for people who live in areas where home values have skyrocketed in recent years as it allows them to get more money from their homes. However, it’s important to pay attention to the VA refinance non-streamline rate. Borrowers are sometimes surprised to discover that the rate is lower on this type of refinance loan than other loans available to them. It’s important to compare costs and understand the total costs of the loan, though. Inclusive of the VA refinance non-streamline rate. There are many things that make this particular type of VA refinance mortgage attractive to borrowers. Chief among the benefits of a cash out VA refinancing loan is the ability to remove the cash equity in the home without restrictions. That means homeowners can use that money for anything they choose. Pay for a child’s education. Go on an exciting vacation. Pay for a daughter’s wedding. There is no limit to what homeowners can do with the money they receive through this loan process, which makes it a highly attractive option for many homeowners. These loans are not the best choice for all borrowers, however. Homeowners must have enough equity in their homes to get past the funding fees associated with VA loans, closing costs, appraisal fees, etc. to make it worth their while to cash out. Another consideration, before considering any kind of home refinance offer is how long the veteran will live in a particular area. This isn’t that much of a problem for retired veterans who have put down roots. For those who move around frequently, however, and may be facing another relocation within the next two or three years, this may not be the best choice. A general rule of thumb for home mortgages and refinance loans is to plan for at least four to five years in the home for the best long-term financial results. People refinance their mortgages for different reasons. Some people are looking to reduce monthly expenses while others are looking to gain fast access to the cash a non-streamlined refi would bring. Whether families are facing additional bills, attempting to downsize expenses, or adjusting to new income realities, a VA loan to refinance an existing mortgage can help by creating lower monthly payments, more attractive interest rates, or fast access to money – depending on the type of loan received. For families unsure of the best course of action, it’s a good idea to consider working with a loan advisor or getting all the details about the particular loan they’re interested in pursuing. Some may discover one option is a better choice in their situation than the other. It’s all about perspective, the current financial situation the family is in, their means to repay the loan, and the dollars and cents of the loan when all is said and done. Don’t forget to factor in incidentals, like funding fees, closing costs, appraisals, home value, and other factors that may weigh heavily upon the final costs of the refinance loan. Individual homeowners mush choose which loan is the best to meet their needs. Understanding VA refinance loan options helps borrowers make wiser decisions about which is the best choice for them. Hopefully, the information above will be of assistance for many veterans seeking to refinance their mortgages.